Automatically updates daily based on user programmable selections. Display numbers from 0 to 9,999. 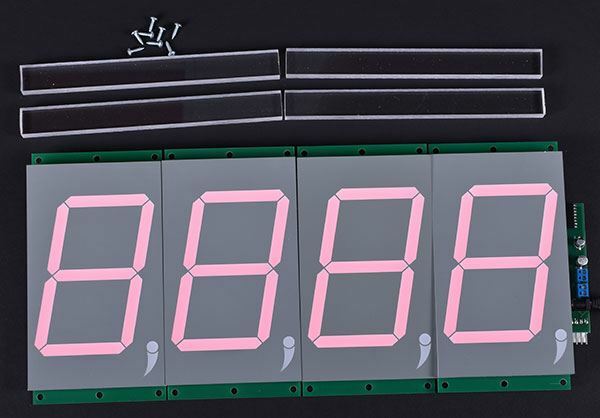 Display typically configured to count up or down automatically based on a 1 to 7 day work schedule. Buttons located on the back of the unit allow for adjustments count including up-reset/program-down. Includes 4 module standoffs and 24 Volt UL 120 volt Power Supply Module.